Removing the Mask by Jodi O'Connell - Elevation Co. I recently had the experience of someone I have known for many years, communicate to me that they did not like the ‘new me’. Being on a journey dedicated to personal growth, the experience of resistance from others is very common. People feel safer when they have categorised you and popped you in the box of what they think you are. I get that. People may feel threatened when, what they thought they knew about you, is no longer valid. I get that too. I spent much of my life, as many of us do, wearing a mask. I chose to wear this mask before I realised I actually had a choice. The mask was in place to ensure that I ‘belonged’, that I was ‘protected’ and that I conformed. 6 years ago I made changes in my life that resulted in taking my mask off and being ME. Not everyone like it… and I love that. Some people preferred the masked version, and some the unmasked version…. and I love that. The most important thing to me, is that I love who I am and I know that to my very core, I am living my most authentic life, with all that I have, in this moment. I most definitely acknowledge that I am not the same person I was when I was masked up. However, I am also not the same person I was when I got up this morning, or who began writing this insight. 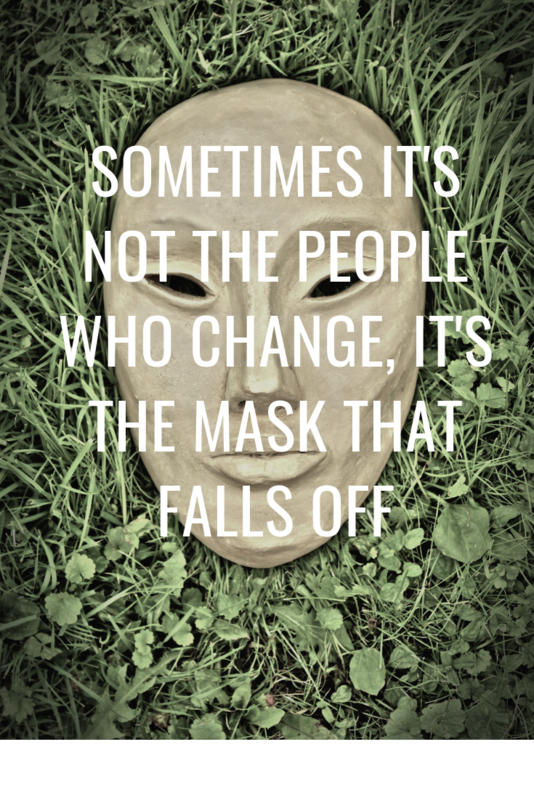 Yes, people have energetically drifted away after not vibing with the unmasked me…. and I love that. The way I see it, the space they have left in my life has made room for some pretty wonderful people to come on in. People who think the ‘new’ me is pretty groovy….. and I love that.